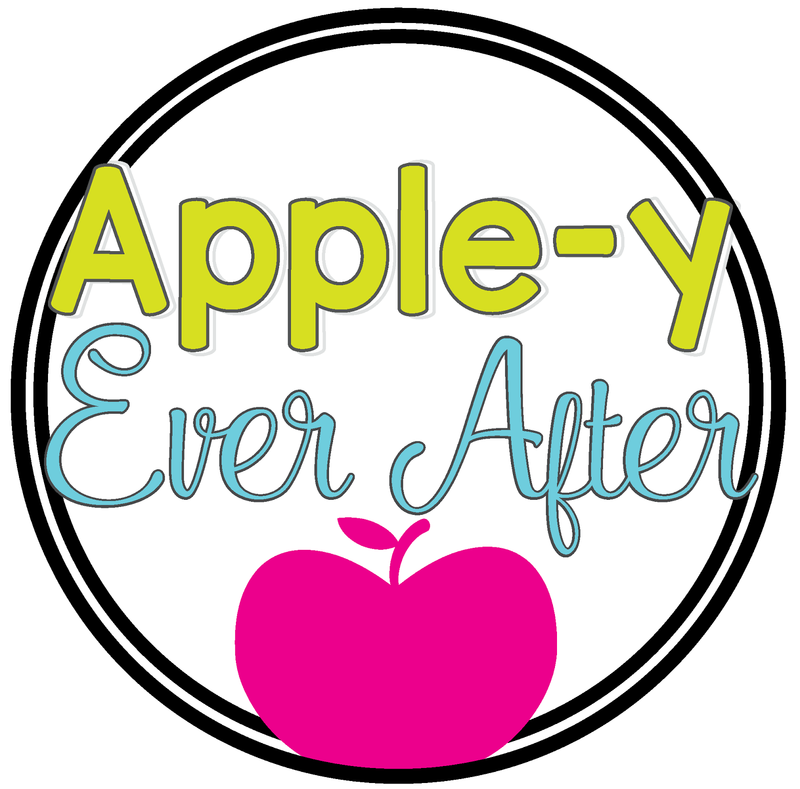 Remembrance Day... - Apple-y Ever After! So, I had such a great idea for remembrance day writing the other day. My Co-op teacher was away, so my plan was to discuss John McCrae and we were going to write a wonderful long and detailed story about why Remembrance Day is so important, and talk all about all the lives that were lost, the hardships that the soldiers and their families went through, and about the symbolism of the poppy among about a million other ideas that we came up with as a class. Well, when the time came for my students to write, it was like I took the 'Men in Black' flasher and zapped their memory of any and all the great ideas we had just discussed 4 seconds prior. Please tell me I'm not the only one that this happens to. Oh boy. It was P-A-I-N-F-U-L! Painful! So, I realized that was the moment to scrap the whole idea and start from scratch. 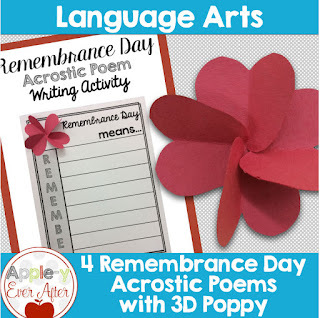 I know many teachers like to use the time of Remembrance Day to teach poetry, and more specifically, acrostic poetry. I am no different, though I added a little twist. First thing I did was take 20 deep breaths. Then I sat my class back down on the floor and we went trough this again. I gave my students 2 choices. They could use the word 'poppy' or 'remember'. As a class, we sat down and really brainstormed ideas about what words we could use to fill in the poem 'REMEMBER'. Once we finished this part, I erased the board. I wanted them to use their brains to come up with proper wording and sentence structure rather than relying on my white board chicken scratch. Some students were brave enough to use the word poppy too. They told me that poppy would be a much easier word to use. I told them that I wouldn't help them with that word though, and that there were 3 Ps to figure out. Let's just say it using the word 'poppy' proved to be more difficult than they initially anticipated (I didn't even say 'I told you so' to them). Not bad for grade 3 students who were just MIB flashed right? When it came down to time to work on their rough copy, I was pleasantly surprised. They had words on their page. Good words, not even over use of the word 'every' like we had originally came up with. After we finished our rough copies, I let them choose their paper that matched their word (poppy or remember). Here is what our page looked like. 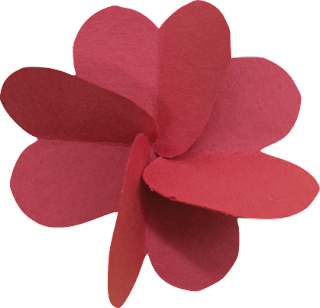 I even let my students make their own 3D poppy to put on the page. We aren't quite done this activity yet, so you'll have to come back to see what they turn out like! I hope they are as awesome as they are in my head. you can click here to see it! I want to see your BEST writing!